WAKE UP to SEAFOOD for BREAKFAST! 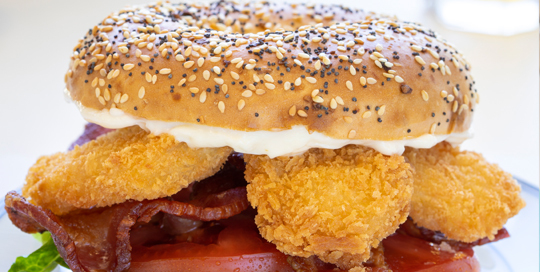 Seafood is popular and breakfast all day is trending. Only 1% of operators’ seafood sales come from breakfast. * So, there is a huge opportunity to create unique, premium menu items for brunch and breakfast to wake up your menu and stand out from the crowd. This easy seafood spin on a lunch or brunch classic is sure to be popular with guests looking for a delicious, portable menu item. 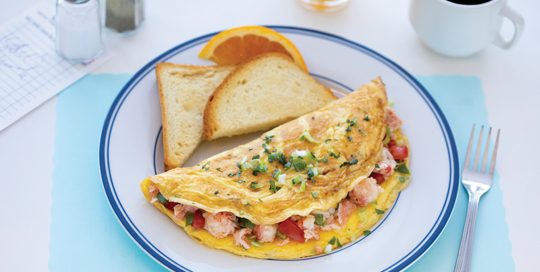 Real lobster & seafood is mixed with diced tomatoes, chopped scallions & cheese, folded into an extreme-sized omelet. 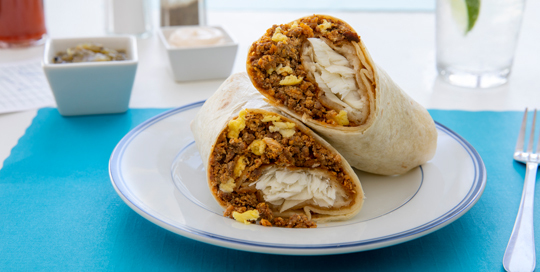 Spicy chorizo pairs perfectly with flaky Tavern Battered® Cod and scrambled eggs in every bite of this satisfying menu favorite. 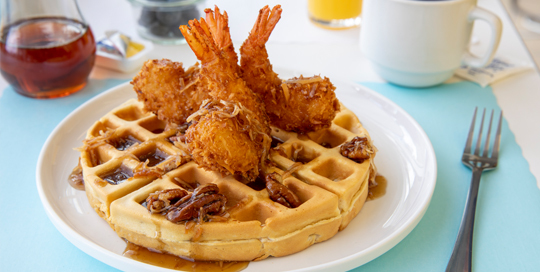 These large, sweet shrimp give this classic breakfast a great plate presentation! Drizzle with dark rum-infused maple syrup and pecans for a showstopping finish.